I have been trying to put together a bridal magazine for over 2 years. I have even purchased other magazine templates, but they just did not allow me to communicate the best photography experience to my brides in a clear and succinct manner. 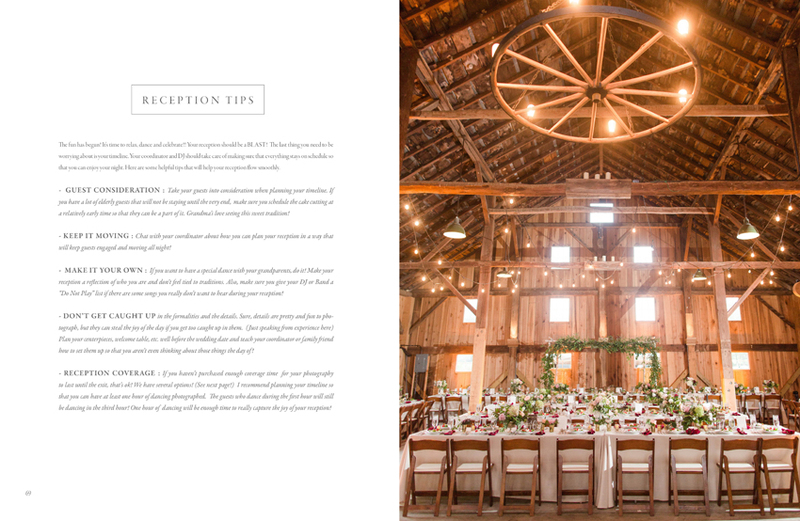 When Katelyn released her guide, I automatically decided to purchase it because I knew that she is known for her exceptional work and getting the best out of her couples leading up to and on their wedding day. This guide does not disappoint!!! 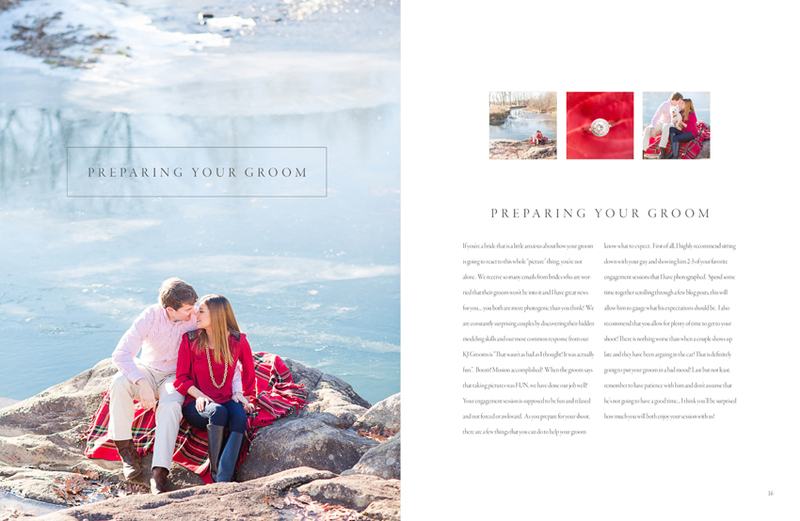 I never imagined having my own magazine designed and completed as quickly as I did with Katelyn’s template! My experience with Katelyn’s Bridal Guide has been amazing; I have gotten so many compliments from brides! Since purchasing the Guide, I feel much more confident as a wedding photographer and more organized in my client workflow. I’ve also noticed my weddings have gone so much smoother now that my brides are well educated on how to best prepare for their day. 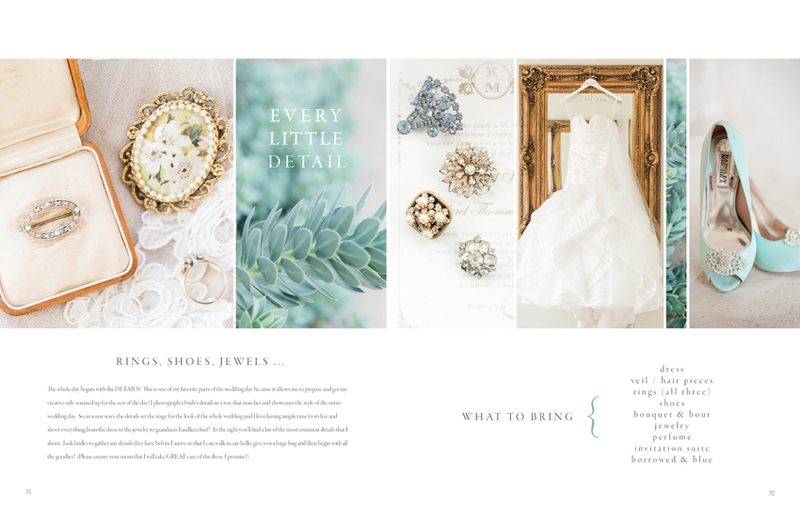 I’m IN LOVE with my bridal guide that I created using Katelyn James’ template! It was incredibly easy to customize; the only hard part was choosing which images to share in it! I had never given my brides anything like this before in the past and now having sent out several, the feedback I’ve gotten from my brides has been incredible. I should’ve done this sooner! I have had my eye on this for a while in hopes I could get it eventually when business picked up. I finally decided to just bite the bullet and go for it and I do not regret a penny. Just looking at all the content after the download made we wish I had done it sooner. I know every couple will appreciate this guide as much as we are excited to make it perfect for them. From the engagement session to details and timeline. All the information they will need will be elegant and presented in an extremely professional way. I love it!! Best investment I made all year! This bridal guide was a GAME CHANGER for my business! It gave me a beautiful way to demonstrate to my clients how their experience should go, why I make the suggestions I make, and it gives them something to refer to over and over again! 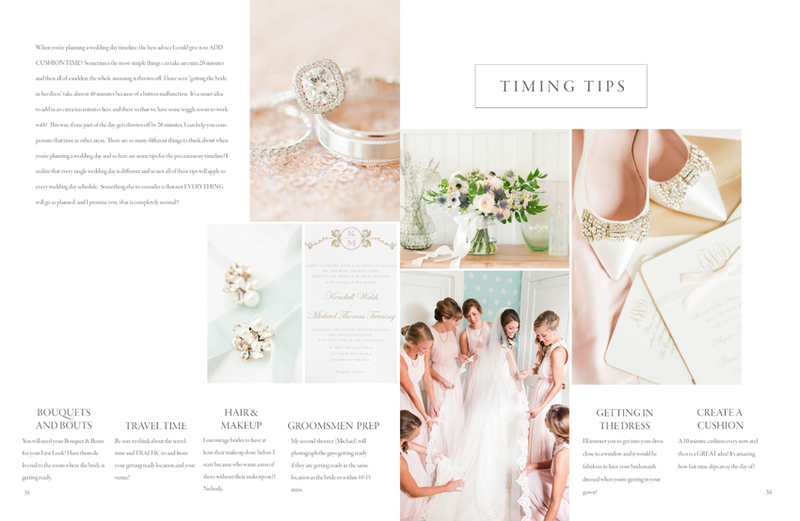 Every wedding I have booked and sent this guide to has had my preferred timeline and went so much smoother allowing me to be more creative! I highly recommend this! I have been a wedding photographer for 4 and a half years. This guide is by far the most vital investment to my business I have made. We are expanding our services by purchasing property to convert to a wedding venue where I can shoot from home and put everything under one roof. I cannot wait to incorporate everything and put it into this perfect template for my brides. Do invest! You won’t regret it! I bought this bridal guide the day it came out. I’ve spent about 4 hours customizing and I’m almost half way done. I had been trying to make my own from scratch (in photoshop!) for the last two months. This will save me so much time, I’m so excited to send these lovely magazines out to my brides.